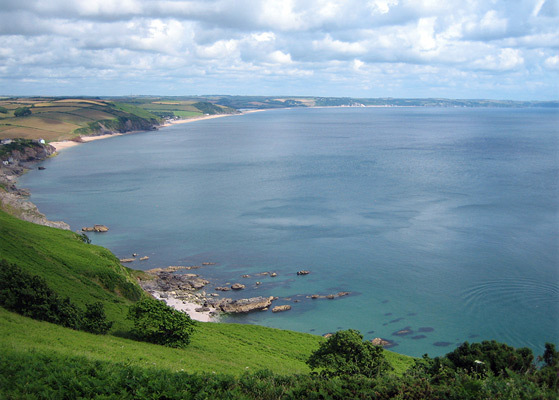 The bay stretches for 15 kilometres from the entrance to the River Dart in the north to the prominent headland of Start Point in the south. 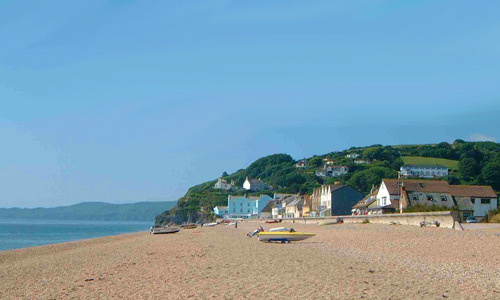 Travelling south from Blackpool the road climbs steeply for a mile to the village of Strete, after which it descends steadily to sea level again at the northern end of Slapton Sands, a three mile stretch of shingle beach, at the southern end of which is the village of Torcross. The A379 then turns inland to Stokenhame, from where a minor road leads back to the coast in the direction of the villages of Beesands and Hallsands, and Start Point. 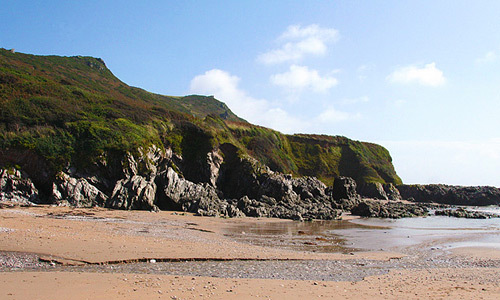 Strete occupies a clifftop position two miles south of Stoke Fleming. Its facilities include a post office and shop, and a restaurant. 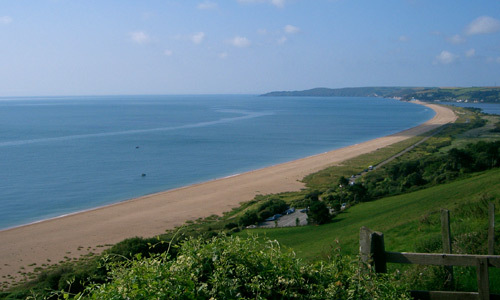 Torcross lies at the southern end of Slapton Ley, a freshwater lagoon and national nature reserve that is separated from the sea by a shingle bank. Torcross has a pub/restaurant, cafes and a village shop, and is a popular centre for angling. 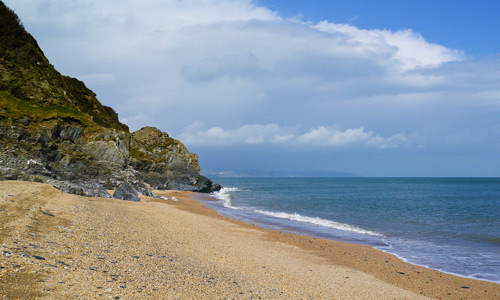 Slapton is reached via bridge that crosses Slapton Ley about halfway along its length, and close to where there is a memorial to American servicemen who lost their lives when a convoy was attached by German E-boats while practicing for the D-Day landings. It is home to a Field Centre and has two pub/restaurants. Stokenham is the first village reached after the A379 turns inland at Torcross. There is a farm shop and garden centre, and two pub/restaurants. 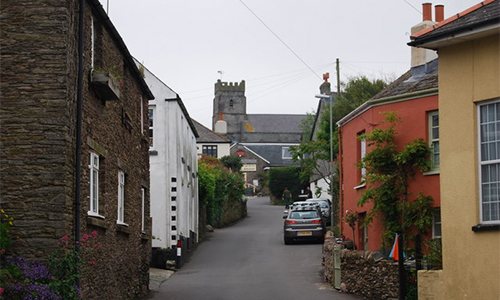 Further on through the villages of Chillington, Frogmore and East and West Charleton the road reaches Kingsbridge at the head of the Salcombe estuary, a bustling market town with many facilities. Beesands lies south of Torcross, and is reached from Stokenham. A single row of ormer fishermen’s cottages contains one pub/restaurant and a seafood bar. 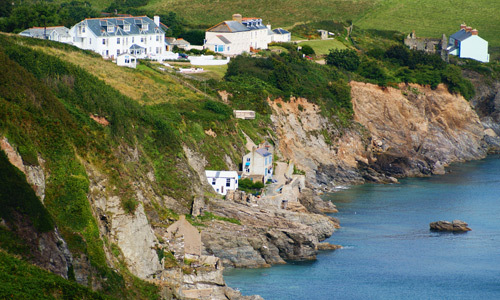 Hallsands is the most southerly village on Start Bay –or was so until almost completely destroyed by a storm in 1917 after much of a protective sand and shingle bank had been dredged up to provide material for a naval dockyard at Plymouth. Today one or two houses have been restored, but only the shells of others remain.